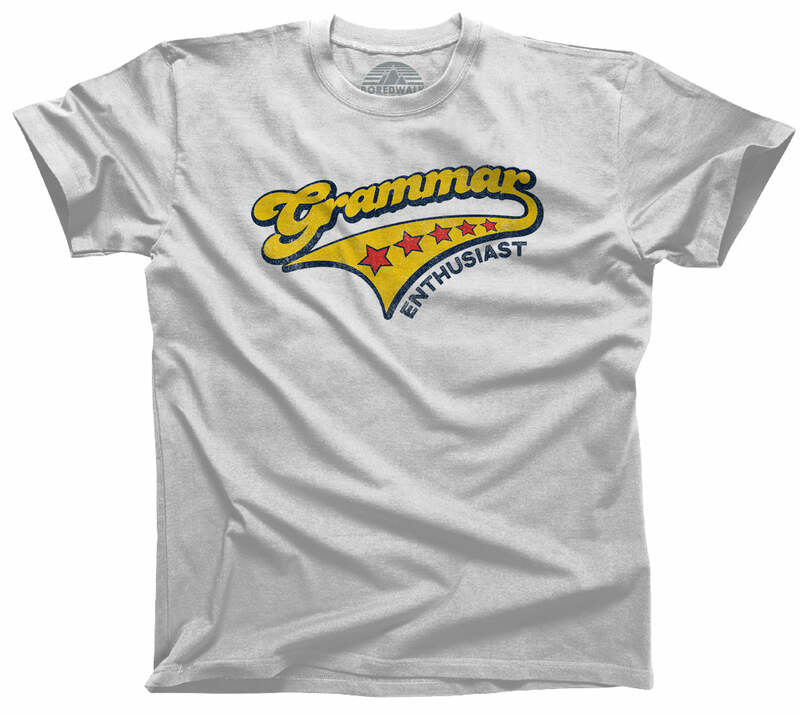 Grammarians everywhere will appreciate this funny, geeky, grammar nerd shirt. 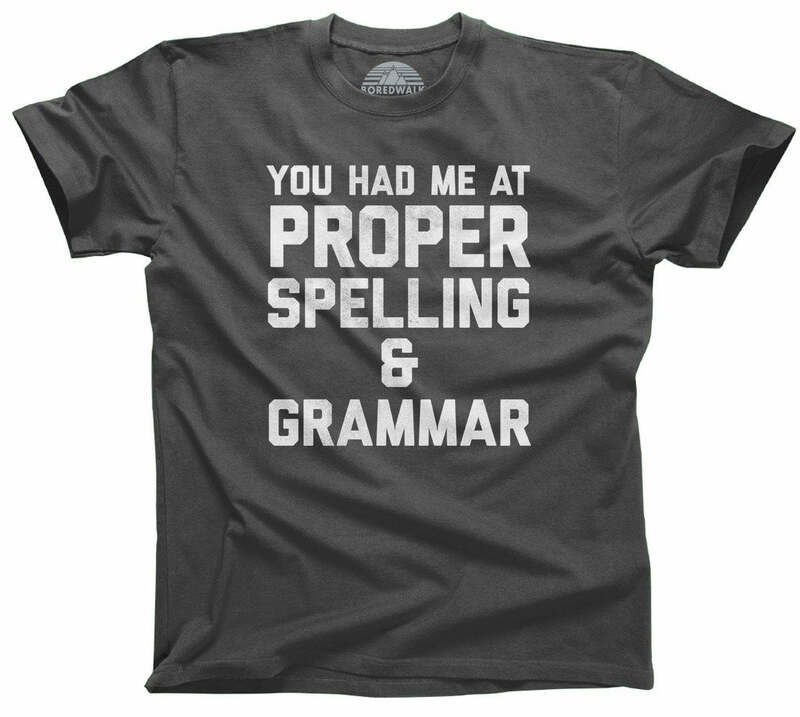 Perfect for the grammar snob, librarian, English teacher, copywriter, or copy editor in your life. 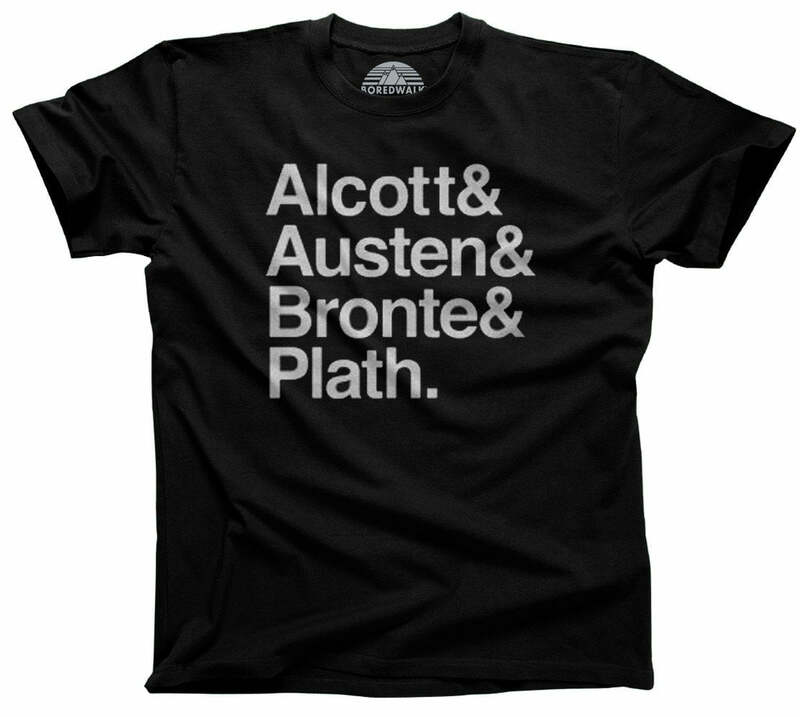 Celebrate the Oxford comma in style with this retro nerdy shirt. Easy, fast & good quality! I love the shirt, and am so grateful for the sizing tip. I would normally have offered a women's large, but knowing how form-fitting it was, I followed the recommendation of a men's small instead. It fits perfectly! The Oxford Comma Appreciation Society shirt has quickly become my favorite shirt. 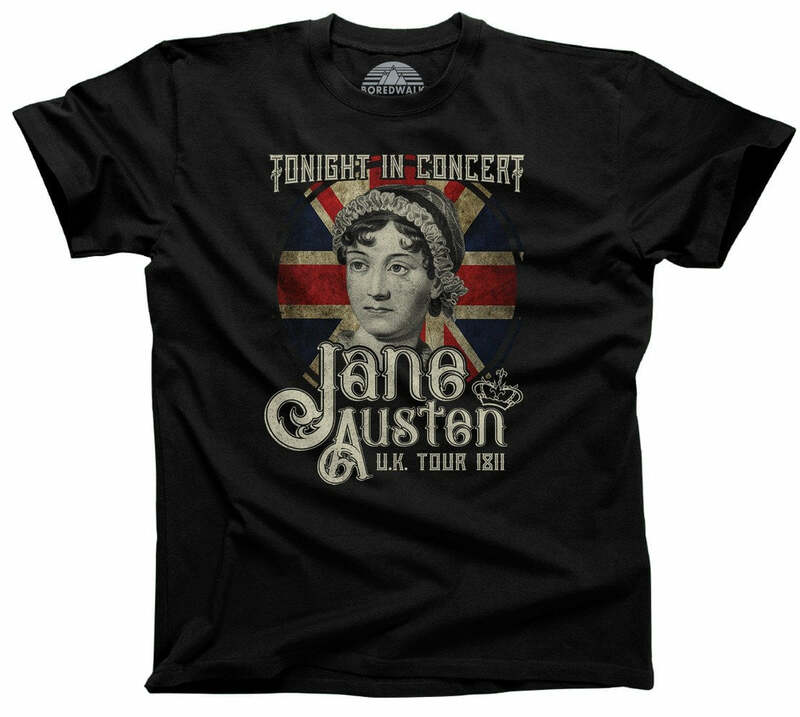 It fits well and is appropriate in almost any situation that calls for a t-shirt. It also naturally brings the Oxford comma into the conversation, which allows me to explain what it is and why people should use it! This gift was a real surprise! To be honest, I bought the “Oxford Comma” shirt for my son-in-law because of the graphic. I knew that he would love it. In fact, the graphic itself was such a great gift, that somehow the shirt became secondary. Surprise!!! The shirt is soft, of such quality, and is just, plain lovely. This may be my first “Bored” purchase, but is not likely to be my last. Excellent quality! I simply love Boredwalk tees.